The US is imposing visa restrictions on Russian and Crimean officials and private citizens who they accuse of “threatening Ukraine’s sovereignty and integrity,” the White House says. The White House said in a statement that this order is “a flexible tool” that will allow it to sanction those who they consider “most directly involved in destabilizing Ukraine, including the military intervention in Crimea.” The document does not preclude further steps in case the situation deteriorates, it added. The announcement comes as the Autonomous Republic of Crimea is getting ready to hold a referendum on March 16 on whether it wants to remain part of Ukraine or to join Russia. The US, along with its European allies, has displayed support for Ukraine’s coup-appointed government and repeatedly criticized Moscow’s stance on the situation in the former Soviet Republic. Tensions between the two world powers intensified after top American officials threatened Moscow over its position on Ukraine and what the West calls Russia’s “invasion” in Crimea. According to the Russian Foreign Minister, the US Secretary of State John Kerry told him that for now there are no blacklists of Russian officials who would face sanctions over Ukraine. Washington is continuing to aggravate the situation by threatening to impose sanctions, Sergey Lavrov said on Thursday after a meeting with Kerry in Rome. Such steps are not constructive, he added. 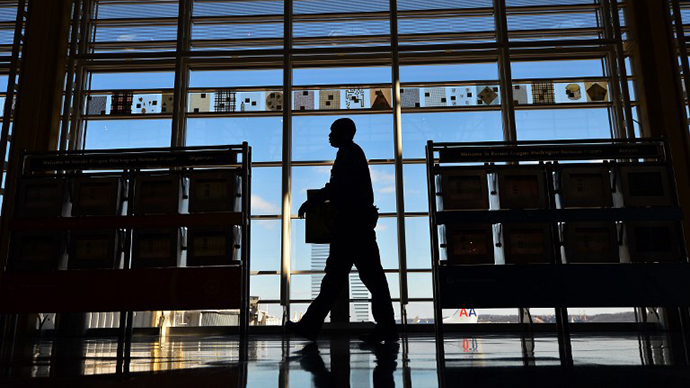 “I drew the secretary of state’s attention to the non-stop aggravation of the situation, and the announcement about some lists of Russian officials who would be banned from entering the US. He assured that there are no such lists at the moment, but there is only an order [by the president],” Lavrov told journalists after the talks. 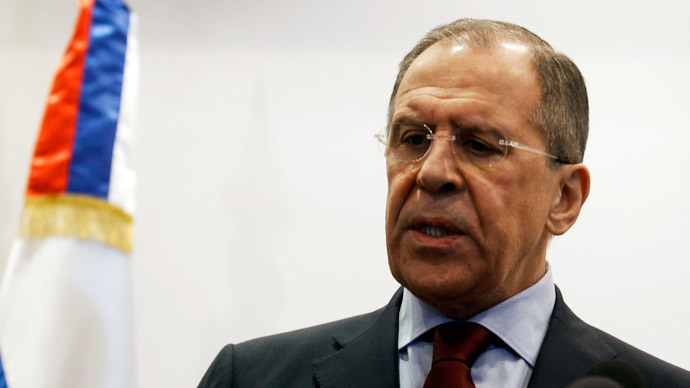 That, however, does not change anything since that is “still a threat,” Lavrov added. As of today, Moscow and the US have failed to reach an understanding on Ukraine, Lavrov said, summarizing the results of the meeting with Kerry. “We need to have a clear understanding of what our partners mean when proposing to set up some international mechanism and what its composition will be,” Lavrov said. 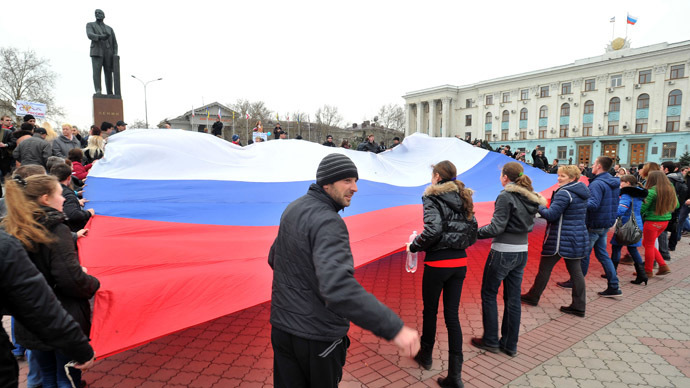 Russia considers it is most important to “respect” the February-21 EU-brokered agreement to settle the crisis. Another crucial aspect is that any process must be supported by all Ukrainian regions, he said.“First of all in this respect we are worried about Crimea and South-eastern regions,” Lavrov said. “The second most crucial aspect is that any process that might be supported must be based on the clearly voiced agreement by all Ukrainian regions,” Lavrov said. 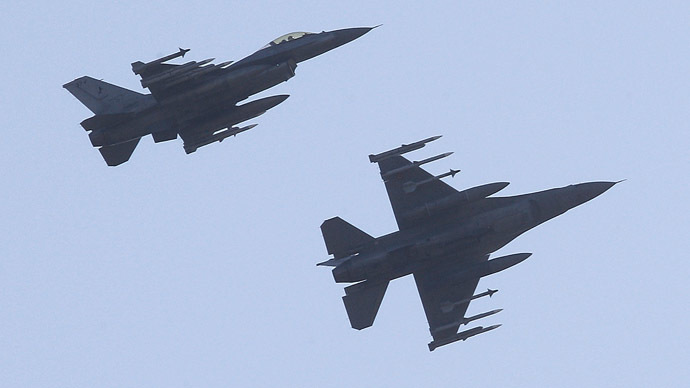 Under the pretext of “deterring Russian aggression” in Ukraine, the Pentagon announced its plans to send several additional fighter jets for NATO air patrols over the Baltic states and, also expand aviation training in Poland. 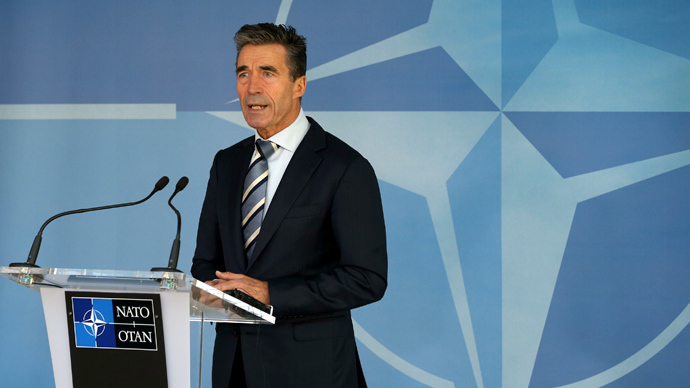 Meanwhile, in an attempt to heap further pressure on Moscow, NATO announced on Wednesday a full review of its cooperation with Russia and said that it would suspend planning for a joint mission linked to the Syrian chemical weapons. Moscow slammed the move as an application of “Cold War” stereotypes and double standards. The Crimean authorities have denounced the self-proclaimed government in Kiev and declared that all Ukrainian law enforcement and military deployed in the peninsula must take orders from them. 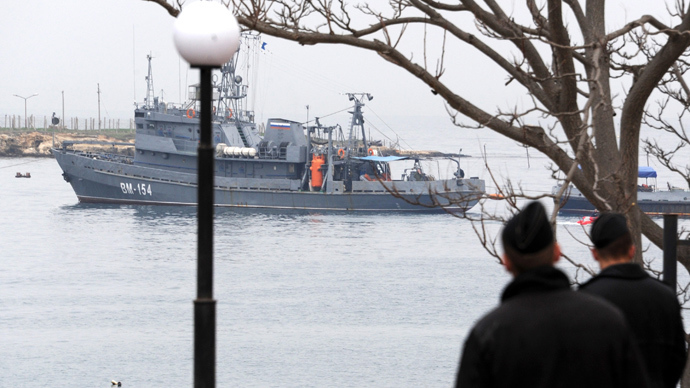 The Crimea authorities have asked Russia to provide assistance to ensure peace and order in the region. Under the Russian-Ukrainian Partition Treaty determining the fate of the military bases and vessels in Crimea – signed in 1997 and prolonged in 2010 - Russia is allowed to have up to 25,000 troops, 24 artillery systems (with a caliber smaller than 100 mm), 132 armored vehicles, and 22 military planes, on the peninsula’s territory. 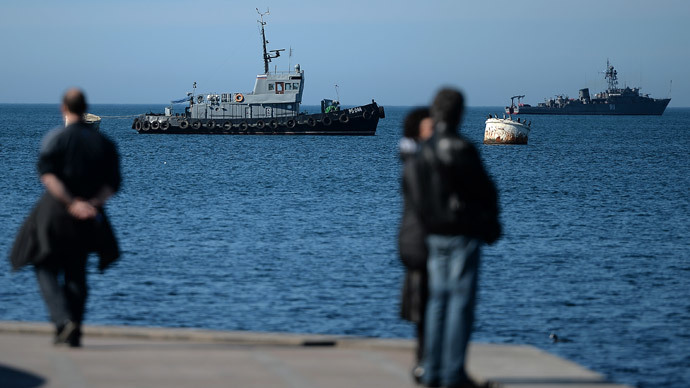 The Russian Black Sea fleet is allowed to stay in Crimea until 2042.Moscow annually writes off $97.75 million of Kiev’s debt for the right to use Ukrainian waters and radio frequencies, and to compensate for the Black Sea Fleet’s environmental impact.